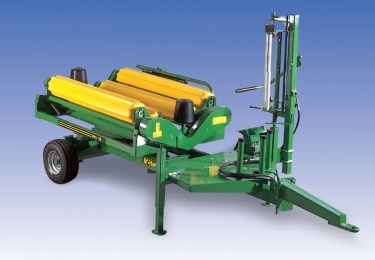 Square Bale Wrapper– McHale 995 TSR –Trailed Single Dispenser Fully Automatic Remote Control Square Bale Wrapper with a mounting point for a hydraulic power pack. The McHale 995 Trailed Single Dispenser Fully Automatic Remote Control Square bale wrapper range is the practical and versatile solution for wrapping large square bales. With the usual McHale common sense design, quality components and precision engineering the 995TSR square bale wrapper is the trusted choice for farmers who want high output and consistent performance for use in static locations.